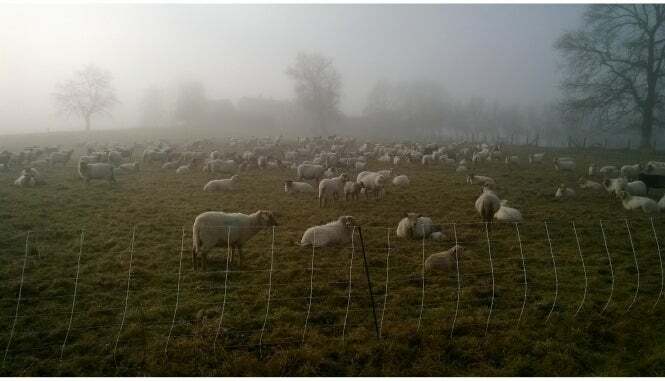 Sheep are the new answer to problems caused in rural areas where traditional agriculture is on the decline and the landscape is reverting to scrubland and forest. In the Dordogne, part of the world that relies heavily on tourism, untended land is increasing regarded as a problem. Today, 46% of the region is woodland, compared to just 20% in 1900. In some communes, up to 75% of the land is now covered by trees. Farmers face uncertain futures. Once open vistas are being choked by trees. And untended land increases the danger of wild fires in hot, dry summers. Sheep are the perfect solution. They are natural heavy-duty lawnmowers, keeping the grass down and nibbling away at the undergrowth preventing new green shoots from turning into trees and bushes.